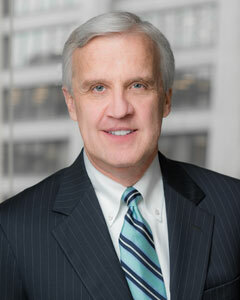 Robert S. Burtker is a partner in the firm and a member of its Executive Committee. Mr. Burtker concentrates his practice in complex litigation. He has defended multiple professional liability cases to verdict, in matters involving a variety of medical specialties, including internal medicine, nephrology, trauma surgery, obstetrics, anesthesiology, obstetric nursing, surgical nursing, gynecologic surgery, neurology and pediatric neurology. Mr. Burtker also has substantial expertise in the practice areas of construction, construction defect and product liability litigation. Mr. Burtker has been awarded an AV Preeminent Peer Review Rating from Martindale-Hubbell reflecting its highest rank based on legal ability and ethical standards. Mr. Burtker was also selected in 2014, 2015, and 2016 as a Leading Lawyer, as compiled by the Law Bulletin Publishing Company, in the area of medical malpractice defense law.